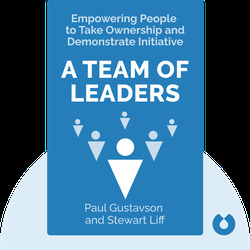 A Team of Leaders (2014) provides companies facing internal problems, such as lost productivity, high turnover and low employee commitment, with a powerful solution. These blinks outline practical methods and tools, including the five-stage team development model, to guide you toward an engaged and high-performance work environment. 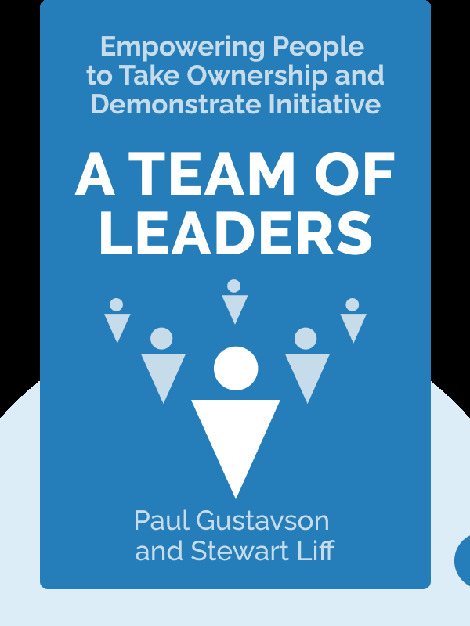 Paul Gustavson is an organization design consultant and the founder of Organization Planning & Design, a company that creates and sustains high-performance teams around the world. He also coauthored The Power of Living by Design and Running into the Wind. Stewart Liff is a human resources and visual management expert, as well as the president and CEO of his own consulting group. He is the author of several other successful books, including Managing Government Employees.